Jeffrey C. Swinton is an experienced franchise lawyer in Salt Lake City, Utah serving both local and national clients in franchise business law. Jeffrey C. Swinton has practiced law for over 43 years and is a partner in the law firm of Stoker & Swinton, a full-service business law firm handling complex business formations, transactions and litigation. He has a specialty in franchise law and has represented more than 80 franchisors and more than 30 current or prospective franchisees, and acted as an Arbitrator to resolve their differences. He can help you determine if the business opportunity you wish to offer to people is a license or really a “franchise”, and the risks you may face in not recognizing the differences. He is skilled in drafting and interpreting Franchise Agreements and Franchise Disclosure Documents required by Federal law and the laws of many states. As a potential franchisor, compliance with the law is an absolute requirement; and, as a potential franchisee fully understanding the documents by which you will be bound is critical to becoming a successful franchisee. He has a broad perspective in creating documentation for franchisors that solve problems before they arise and in representing prospective franchisees and current franchisees in their negotiations and dispute resolution. 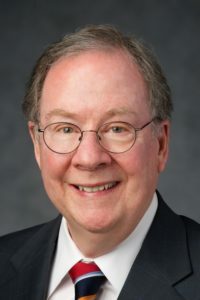 He has twice served as Chair of the Franchise Law Section of the Utah State Bar. Because of my decision to live and practice in the Intermountain West, my fee structure is more reasonable than those typically found within the industry.